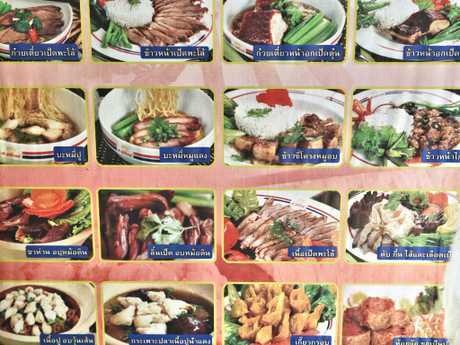 Thailand’s food scene has been under siege, but some absolute gems are still around. BANGKOK'S world-famous street food scene has been gutted over the past 18 months as the Thai Government has sought to clean up the sidewalks of the Thai capital's downtown area. 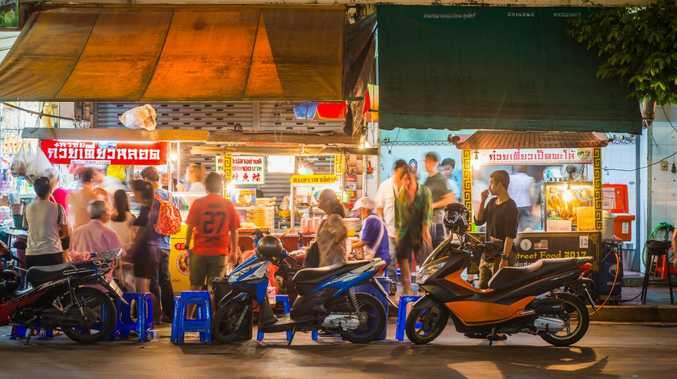 The city's spectacular street food scene is a major drawcard for tourists but they're now out of luck on Bangkok's long, main thoroughfare, Sukhumvit Road, along which many of the city's biggest hotels are based. 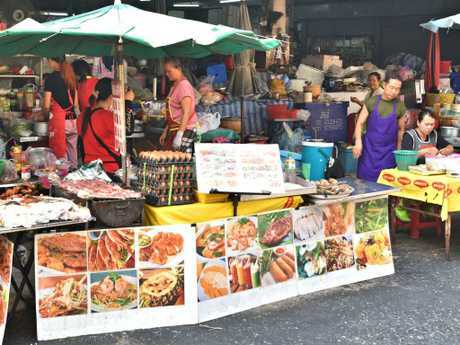 Many street food vendors in Bangkok have been turfed out on order of the government. The crackdown has seen hundreds of licensed food vendors across the city evicted from their prime streetside spots into new, out-of-the-way locations designated by the government. One of the great charms of the city for locals, tourists and Bangkok ex-pats like myself has long been the way you could leave your home or hotel and immediately find an array of amazing street food being sold for as little as $1 per dish. 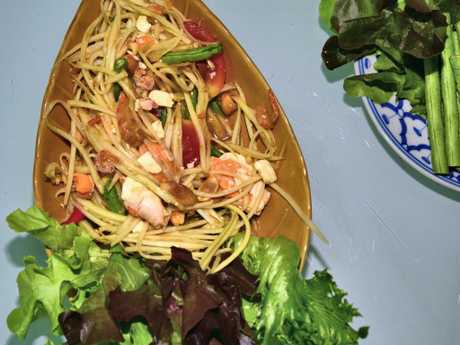 Food is one of the biggest things to entice tourists to Thailand. You pull up a plastic chair at a rickety table and eat basic but delicious Thai food like papaya salad, pad Thai noodles and tom yum soup. Many people love the fact that Bangkok is raw and unusual, but the Thai Government seems intent on trying to shape the city into a more polished and predictable metropolis in the mould of Singapore. The street food crackdown has received a mixed response from Thai people and a pretty overwhelming thumbs-down from tourists and ex-pats. 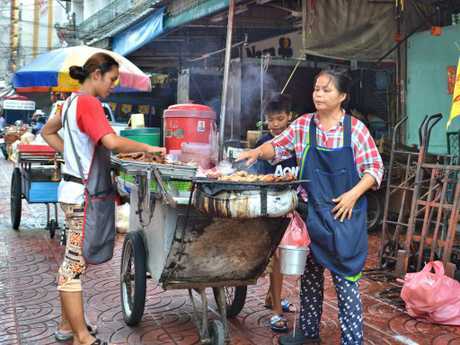 Among Bangkok locals there is a popular belief that street food vendors were clogging up the streets in an already-busy city, and also creating overwhelming mess and smells in these public spaces. 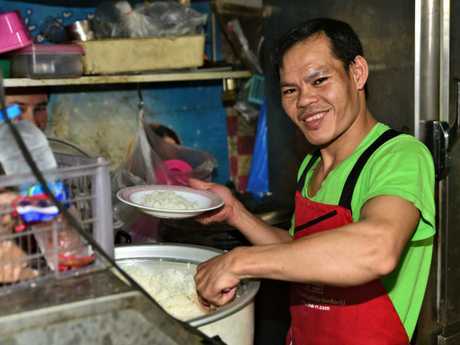 On the other hand there are many more Thai people who see street food as a proud element of their culture, and as an important means of supplying cheap and accessible meals to city workers. 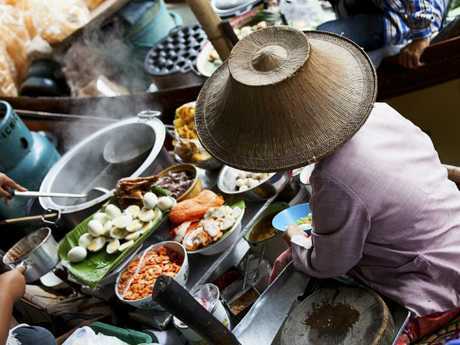 Bangkok's renowned street food is also an undeniable element of its extraordinary popularity as a tourist destination. It has ranked among the top three most visited cities in the world for the past three years in a row, and gorging on street food is arguably Bangkok's single-most famous tourist activity. There remain a host of incredible street food locations in central Bangkok - you just have to know where to find them. These are some of the gems that have managed to survive the cull. Despite having lived in Bangkok on-and-off for the past six years I wasn't even aware of this food heaven until recently. That's because it is hidden just off the busy Charoen Krung Road in Bangrak in what was originally a car park, close to the Shangrila Hotel. There are more than 20 street food vendors wedged into this open air space selling almost any type of food you can imagine. What makes this spot unique is that there is not just an endless array of Thai food but also stalls selling Japanese, Malaysian, Indonesian, Vietnamese, Cantonese and even Western food. I'd also recommend getting a fresh fruit smoothie from the vendor near the entrance. This one really is a hidden jewel, at least from the perspective of tourists, because the vendor who sold me a mouth-watering beef Thai green curry said they very rarely see Westerners inside this lively market. 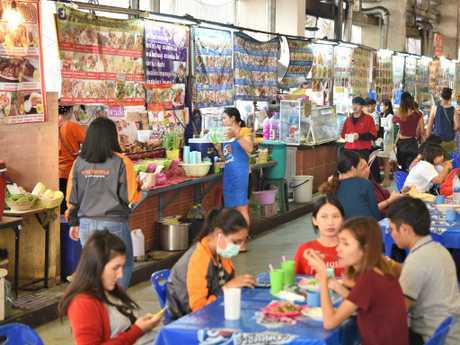 Tucked away in a historic neighbourhood, not too far from Bangkok's touristy Old Town area, Nang Leong market is an authentic Thai food bazaar. It is particularly good for traditional Thai snacks like fried bananas, fried Taro chips and Thong Yip egg yolk dessert. 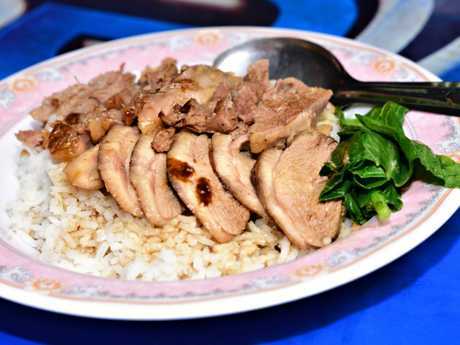 There are also plenty of heartier Thai options like fried pork sausage, stir-fried chilli catfish, red pork with egg noodles, and roasted duck with rice. This is also a charming area to explore on foot thanks to its timeworn architecture and great people-watching opportunities. Just 10 minutes' walk from the tourist favourite, Patpong Night Market, Silom Soi 20 is a great option whether for breakfast, lunch or dinner. My favourite Thai dishes served here include the creamy noodle soup dish Khao Soi, fried kale with crispy pork, dark noodle soup Kuay Jab and, for dessert, mango with sticky rice. As this street is adjacent to Sri Mariamman, the biggest Hindu temple in Bangkok, there is also some excellent Indian food including chicken biryani. This is a busy tourist area so most of the vendors have English menus, which is very handy as the list of dishes on offer is enormous. Also known as Chinatown, this bustling neighbourhood for decades has been one of the premier street food destinations in Thailand. 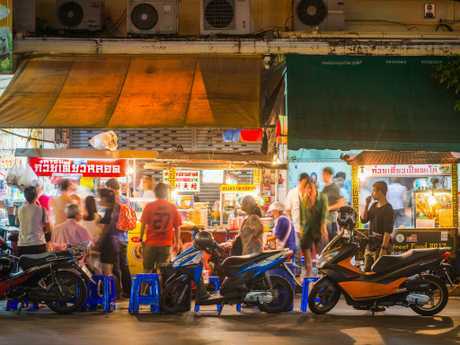 Its main thoroughfare, Yaowarat Road, has lots of street food at all times of the day but it really flourishes once the sun disappears behind its timeworn buildings. Many of the vendors here specialise in one particular dish which they have honed over years or even decades. 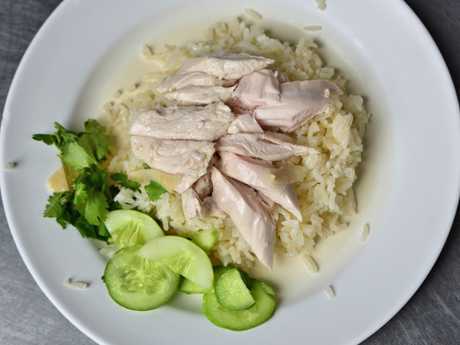 I have my favourite vendors for dishes like Hainanese chicken rice, Kway Teow fried noodles and stewed pork leg with rice. Because this is the heart of Bangkok's enormous Chinese community, Yaowarat is also the place to go for rare Chinese treats like bird's nest and shark fin soup.